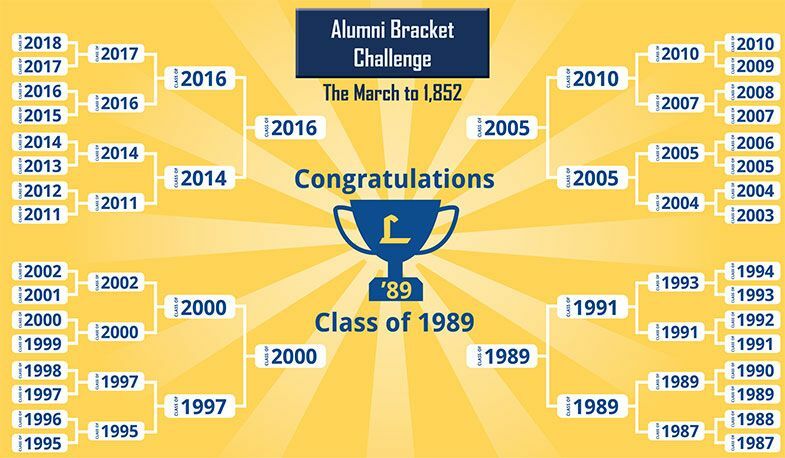 With 37 total donors, the Class of 1989 has been crowned the winner of our first annual Alumni Bracket Challenge! The Class of '89 is also the only class to qualify for the cookout on campus. Thanks to all those who stepped up, especially to our first-time donors. It’s never too late to add yourself among those who proudly support Loyola and the experience it provides to current and future Dons. Make your gift here.